What is the Microsoft security strategy? You want to protect your data, regardless of where it’s stored or with whom it’s shared, and you need to be compliant. You have to worry about BYOD, accidental data loss, malicious attacks, and much more, while giving employees the best productivity experience. 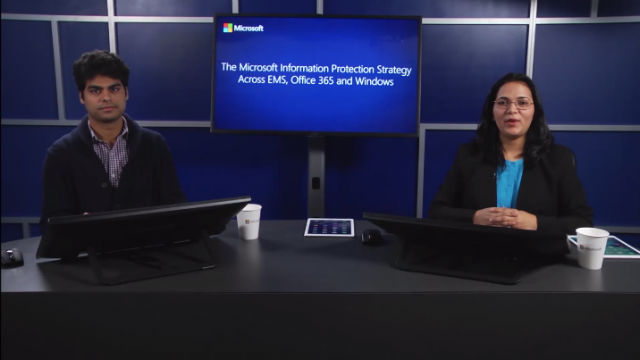 Watch this session, and find out how comprehensive information protection and data security solutions from Microsoft can help bridge the gap between user productivity, enterprise compliance, and protection. We designed Windows, Office 365, and Enterprise Mobility Suite (EMS) to deliver best-in-breed protection and to help meet your organization's security and enterprise compliance needs.